BELLVILLE — The village may be getting some help in caring for its mussels. That project is not an insane one, village council members learned at its Tuesday council meeting. 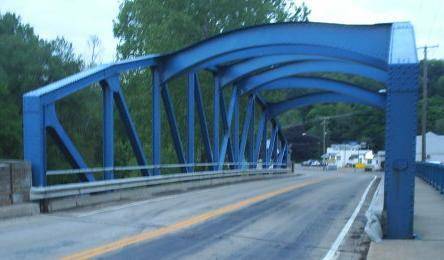 Mayor Teri Brenkus said she has talked with representatives at the Ohio Department of Natural Resources who have said they would be willing to help with caring for the creatures, which live under the big blue bridge on State Route 13. Brenkus said the village can’t afford on its own to provide protection for the creatures. But the ODNR people said they can help provide services. A mussel is a bivalve mollusk, which can be found in fresh or salt water. The creatures can be endangered and their environment must be protected, experts say. Brenkus said she talked with ODNR people who helped at the field day event last Saturday. Brenkus told council members the field day in Palm Park attracted many, and kids were fascinated by being able to touch a BB gun, and to learn about fishing poles. She said 70 per cent of the kids said they’d never had the opportunity to do those activities. The field day, which attracted about 75 people, was a “big hit,” said Brenkus. Village administrator Larry Weirich told council a new leaf collector is working well. Council approved a resolution marking the old Armistice Day, now Veterans’ Day. The resolution asks people to help mark the day by ringing bells 21 times on Nov. 11 at 11 a.m. It is the 100th anniversary of Armistice Day, which marked the end of World War I. Coming events within the village include a cemetery board meeting Nov. 12 at 7:30 p.m. The next council meeting is Nov. 20 at 5:30 p.m. at the Bellville Police Department. A planning commission meeting is Nov. 26 at 7 p.m. at village hall. In December, on the 6th, there will be a reindeer event at 6:30 p.m. at the bandstand. A yule lighting ceremony will also be on that date at 7 p.m. The Christmas parade will be Dec. 8 at 11 a.m. There will be free carriage rides, and hot dogs and cocoa will be available. There will be a holiday lighting contest, with Jefferson Township.